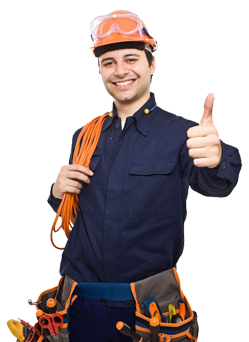 This course will be focus on how to install single phase wiring system, three phase wiring system, single phase and three phase wiring maintenance and troubleshooting and also doing testing commissioning with the endorsement. 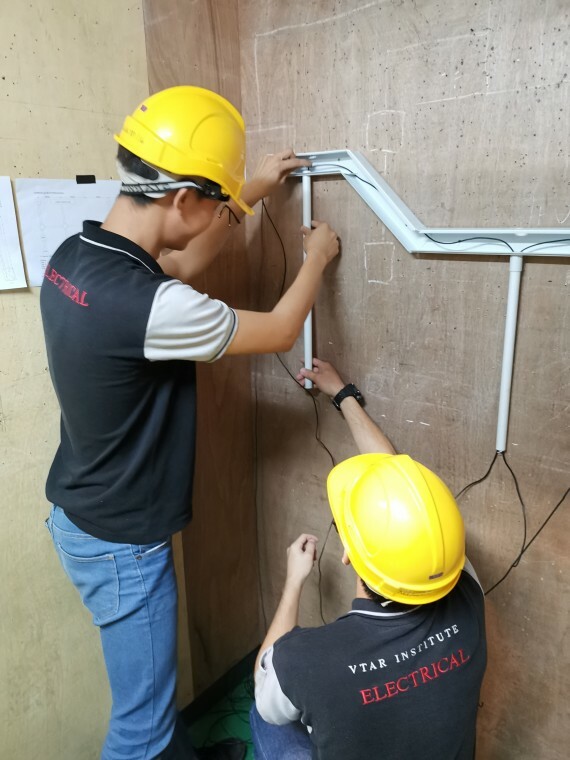 Student will be able to perform an electrical schematic and single line drawing, wiring system troubleshooting and also performs testing commissioning with endorsement for the wiring system. Records of proof skills (portfolio) will be develop for each level achieve. 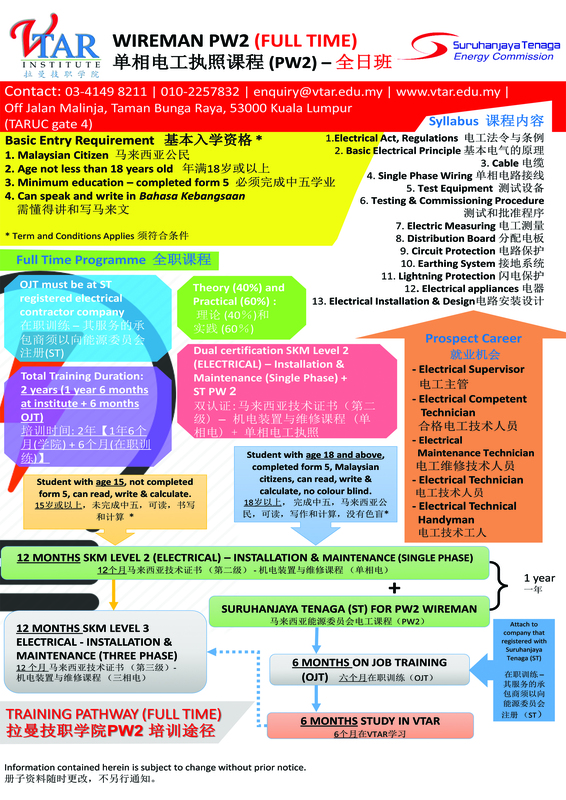 Company from industry are currently looking for more skills technician to work in the industry especially graduates from Wireman PW2 course. All instructors for this Wireman PW2 are with competency certification. Personal values, Social Skills, Core Abilities and Level of Discipline will be also enhance during the course.